Symbolic start of demolition at Capital Print and Data factory Marshgate Lane July 26th 2007. London 2012 Olympic site. 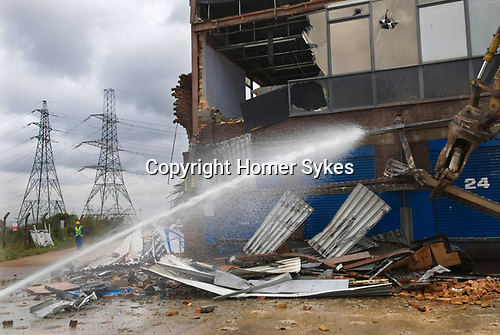 Symbolic start of demolition at Capital Print and Data factory Marshgate Lane July 26th 2007.